Top » Catalog » Environment » Scots pine (Pinus sylvestris L.) forest in Spain's Central Range. Distribution, history, floristic composition and typology. Scots pine (Pinus sylvestris L.) forest in Spain's Central Range. 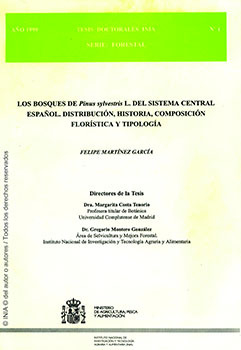 Distribution, history, floristic composition and typology. Physical Description : 20x30; 701 p.;il.